Looks like I have not posted in a while, and October begins tomorrow. Here’s a recap of September. The last of our fingerling potato crop, as fingers. 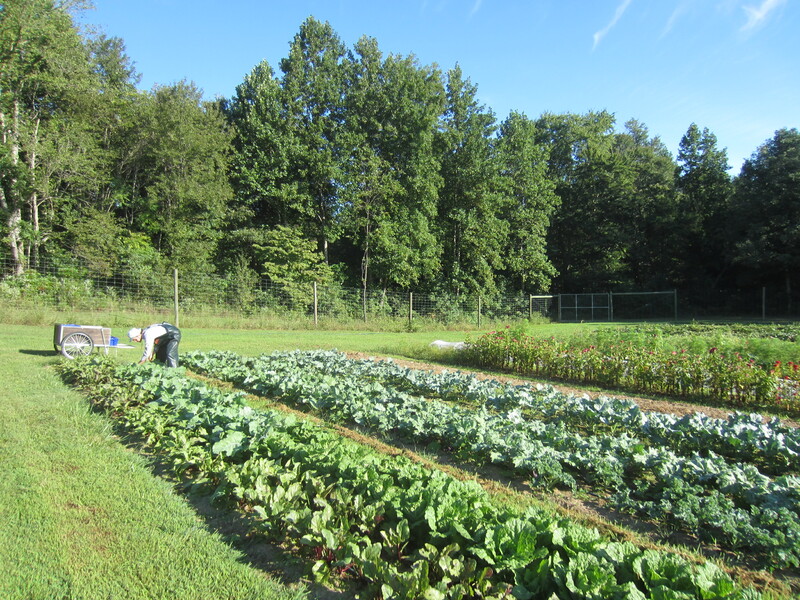 First of the fall crops, on the life support of irrigation… we had only 1/2″ of rain all month! 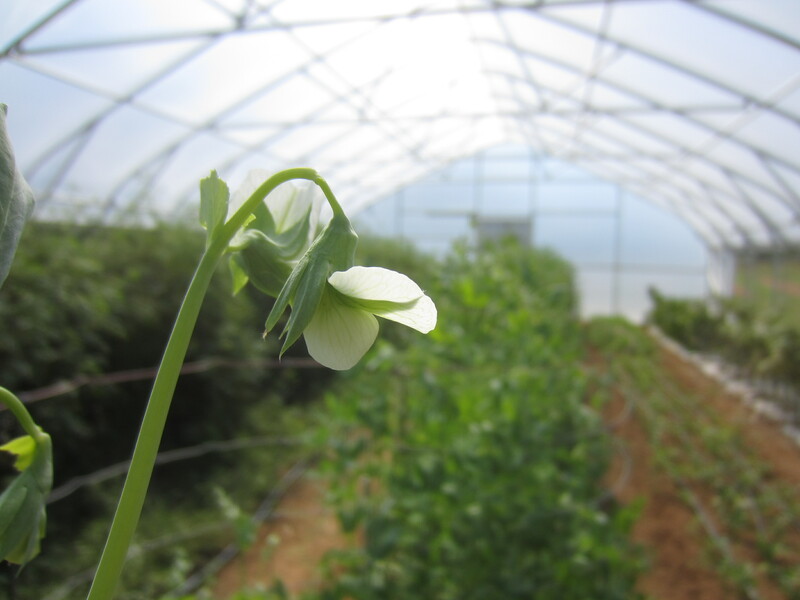 Fall peas blooming in the big tunnel. 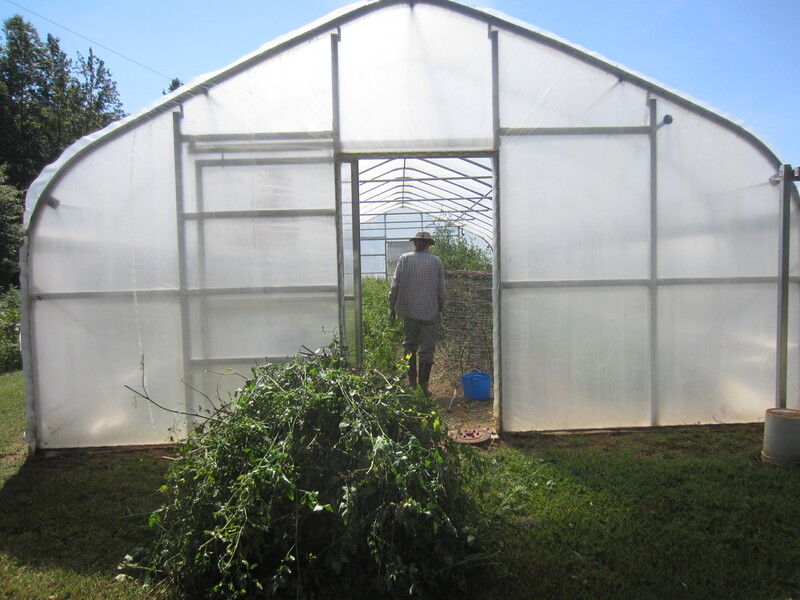 Cleaning out tomatoes from the little tunnel to make way for winter broccoli. 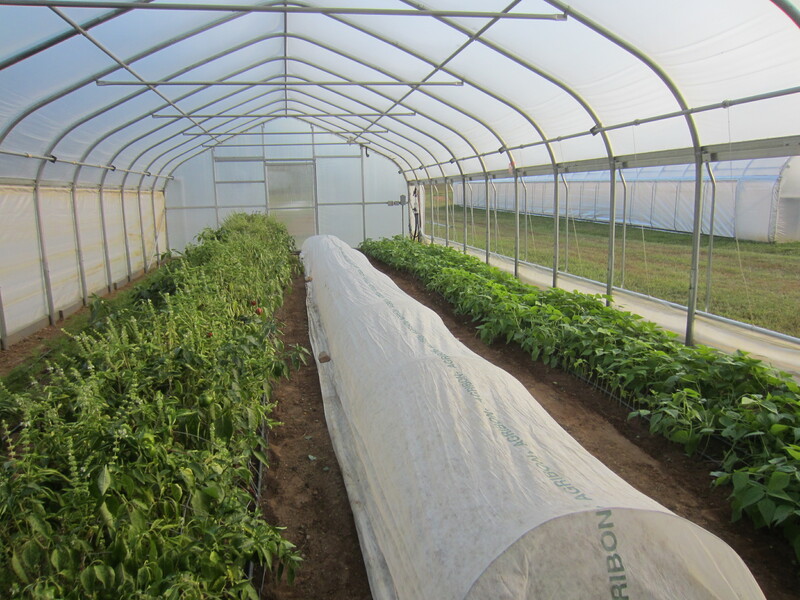 The tomatoes were still looking good, but we needed the space, and we still have plenty of tomatoes in the other tunnel! 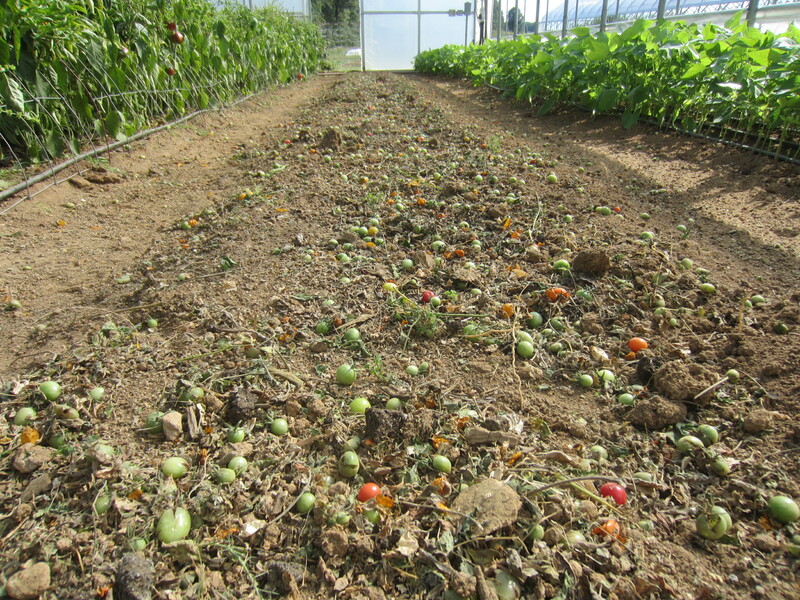 What remains… lots of cherry tomatoes that will sprout up next year! The broccoli planted, and covered. 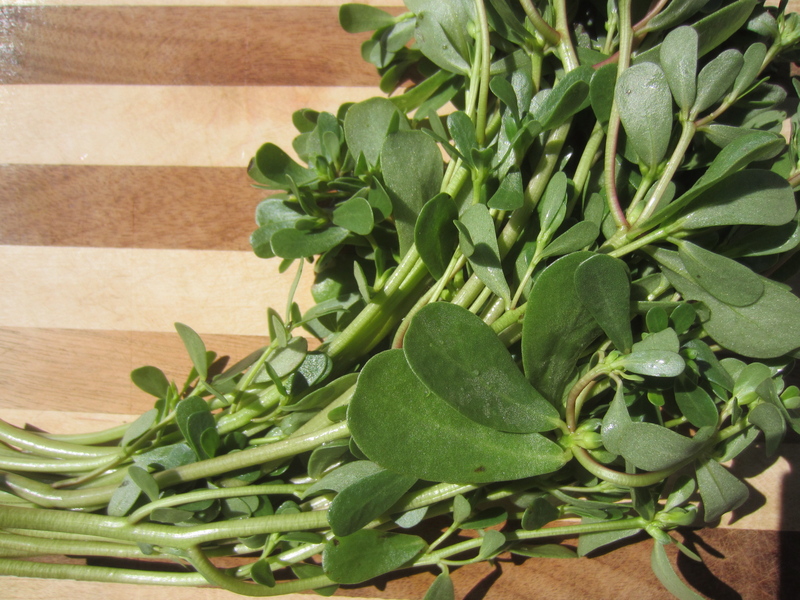 Purslane, the wonder weed. Wondrous in its nutritional profile and also its ability to perpetuate itself in the garden! Sowing winter spinach into very dry beds. 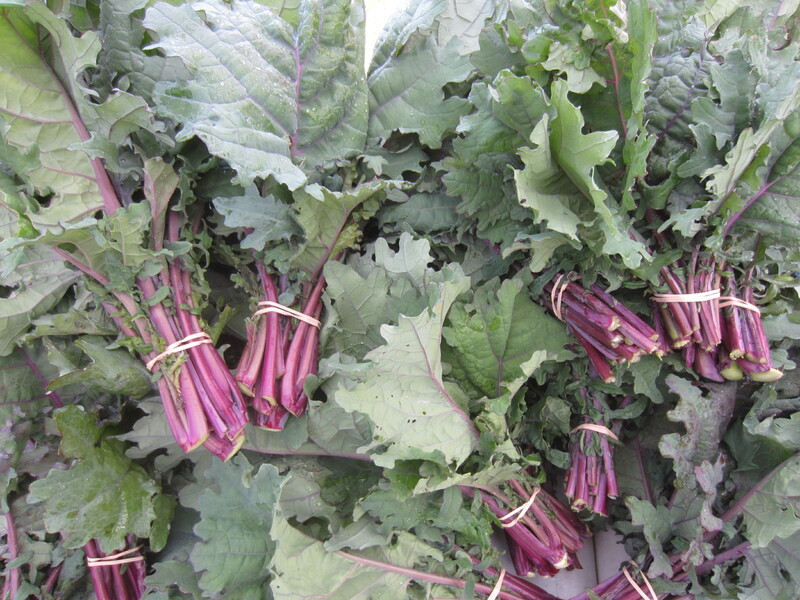 Red russian kale; our favorite! 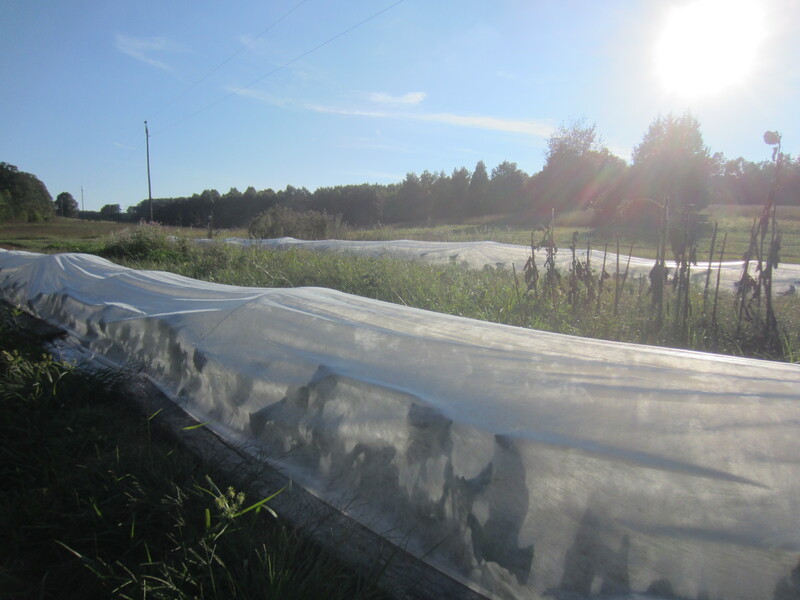 Shadows of crops growing under cover. 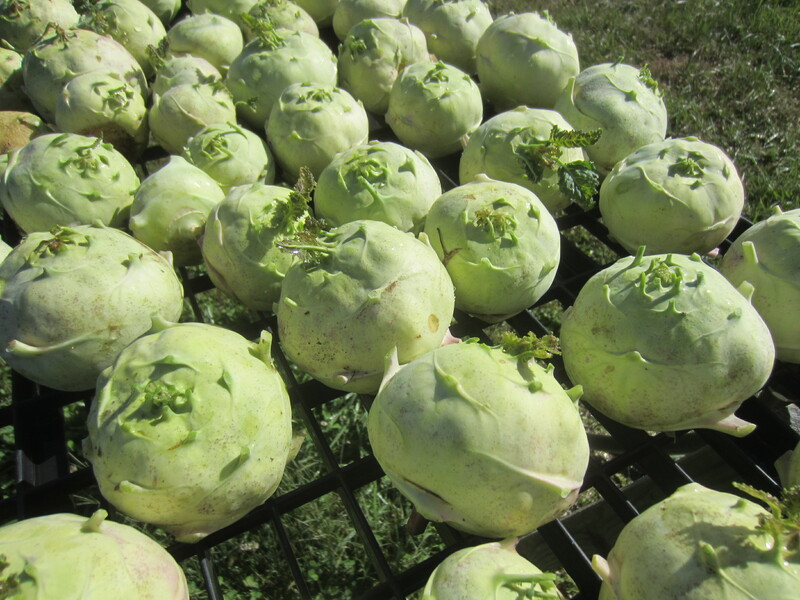 A sea of kohlrabi, ready to jump into your bechamel sauce. Or to be grated into the finest slaw. Or to dip into your herbed yogurt or sour cream. First of the ginger crop; lots more to come. Say yes to gingerols, the anti-inflammatory compounds in ginger. 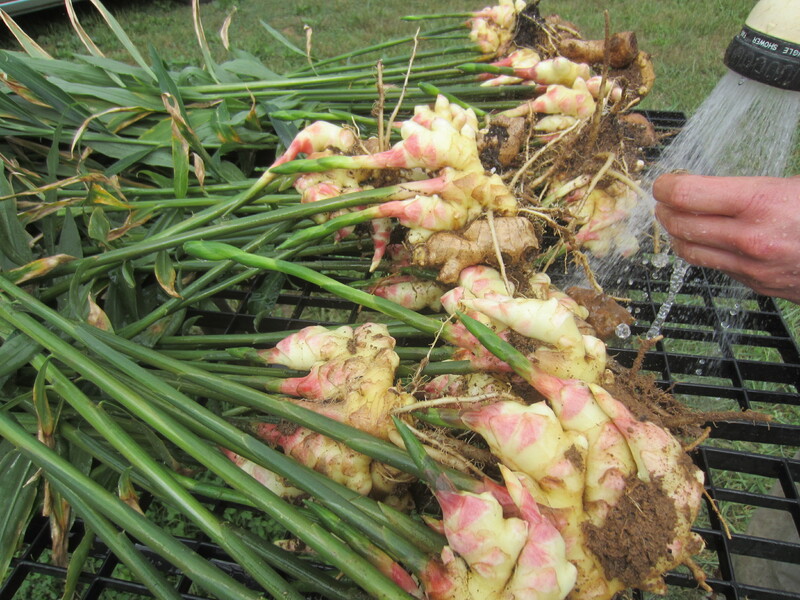 Next year we’d like to grow fresh turmeric as well. In the log yard. 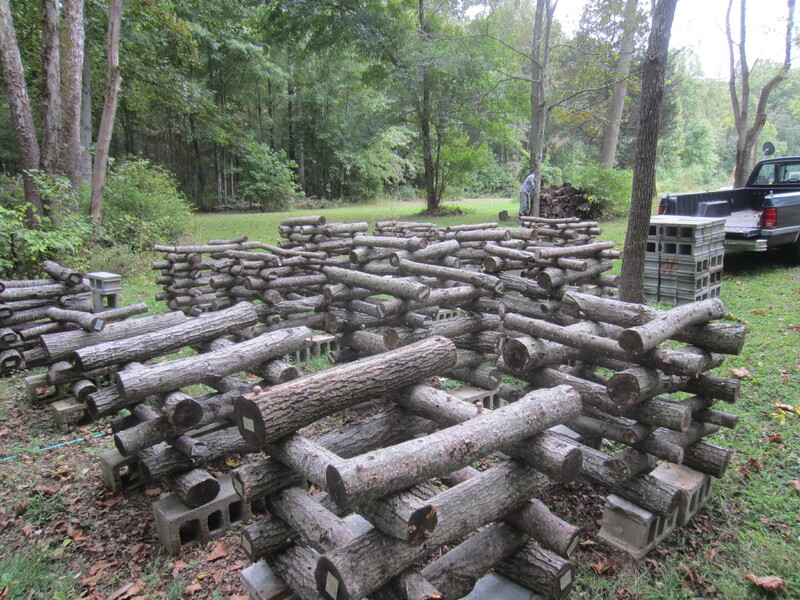 We salvaged a bunch of concrete blocks that we’ll use to stack the logs on to keep them off the ground. Ready for expansion! We love mushrooms! Taking stock of what’s growing this morning. 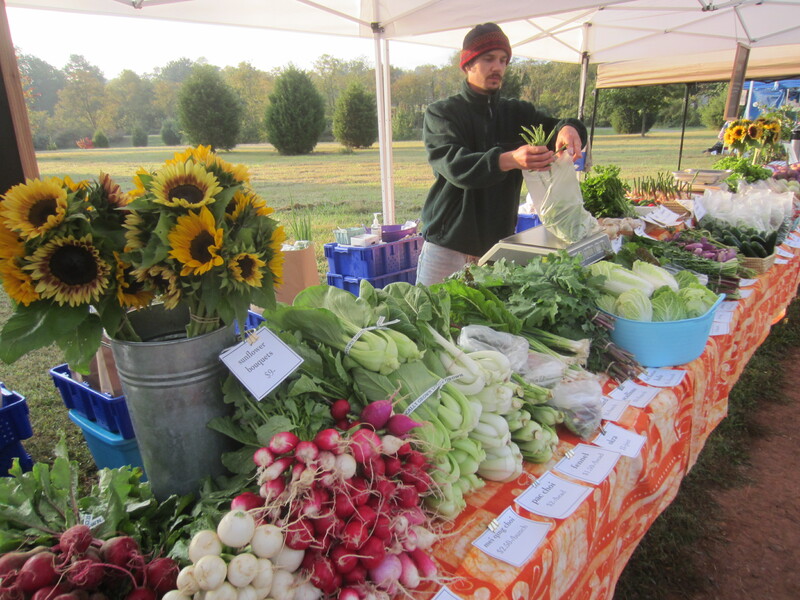 So much… looking forward to some great October harvests! It was great to see the pictures! 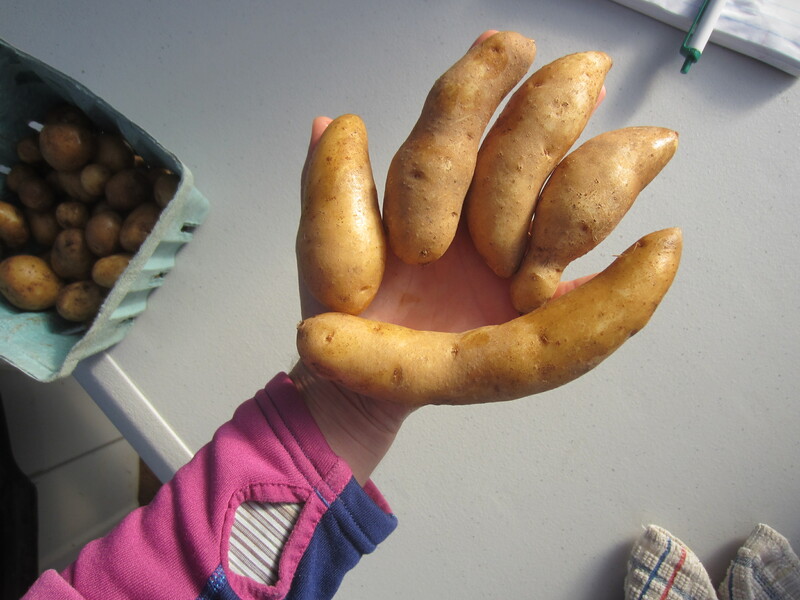 I especially enjoyed seeing the fingerling potato photo……made me laugh! The kale looks yummy. 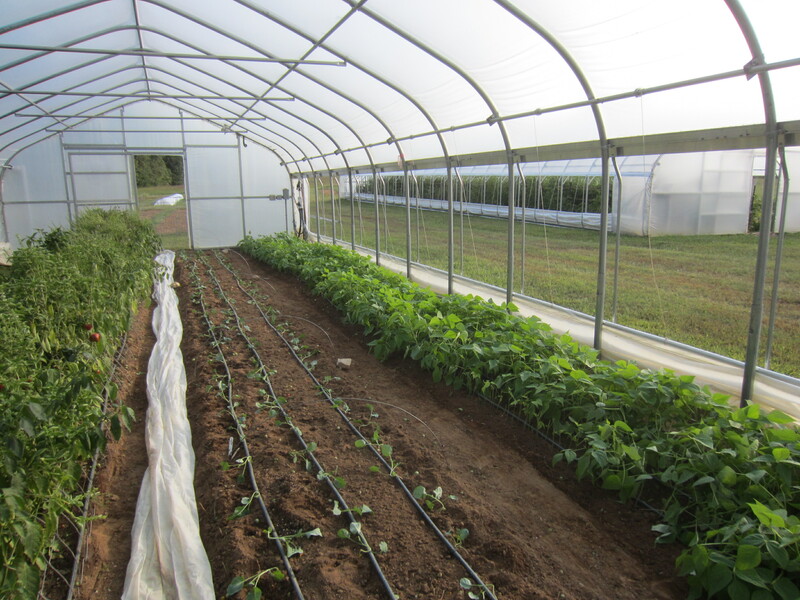 Enjoying your green beans for dinner tonight and had a delicious salad from your salad mix last night and for lunch. Yum. Wish I could give you more! Okay, enough already with your gorgeous mushroom logs! I must copy them! 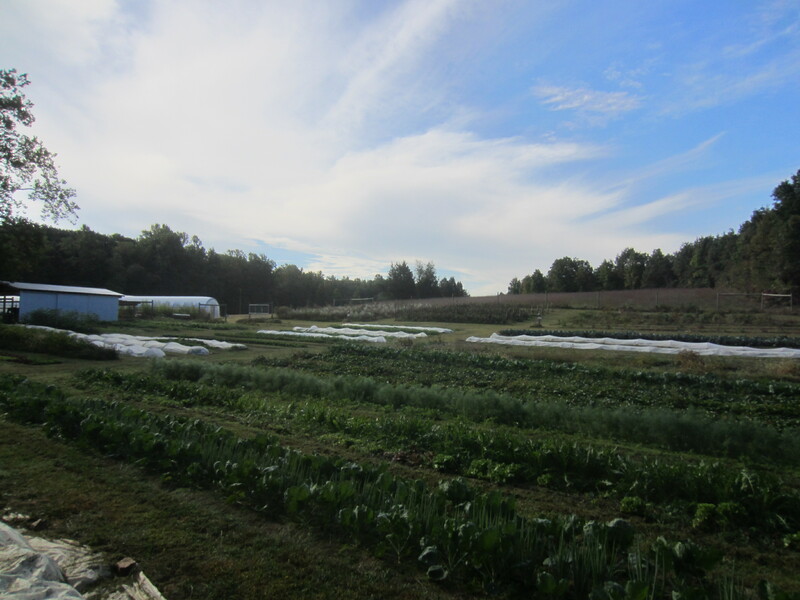 Sara, they are a great crop; if you have a woodlot with suitable logs I would highly recommend it! Yes, oak is perfect for shiitakes. We are using red oak. If you have access to some small-diameter oak get your chainsaw out and order up some spawn! I think you can innoculate in the fall… not sure of the exact timing requirements, has something to do with sap flow I think… we have only done it in spring. We’ve bought spawn from Field and Forest Products in Wisconsin and also a few others but I’d definitely recommend Field and Forest, they are a great company and have some good info on their website to help get started. Wow, Thank You, Dr. Richmond! We will definitely look forward to the book! 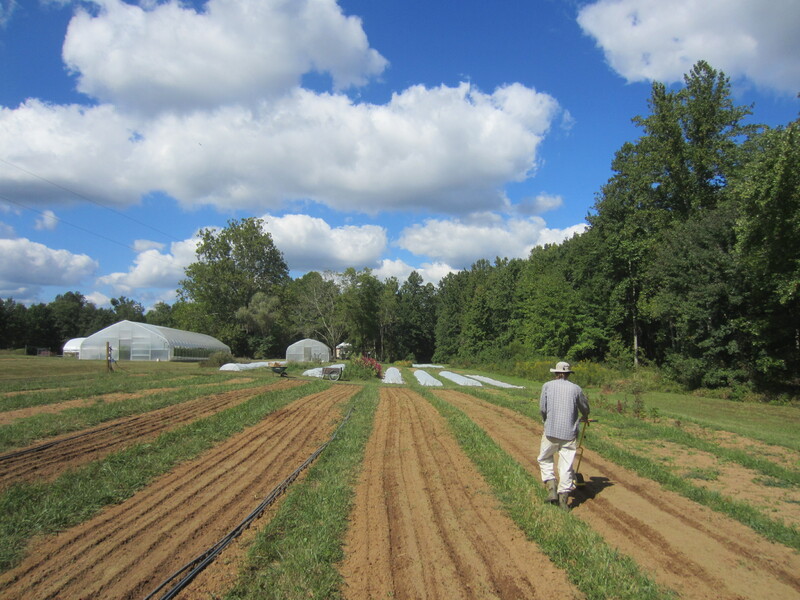 Building our soil is the most important part of what we do here so the more we can understand and facilitate the processes the better we will be able to grow food! 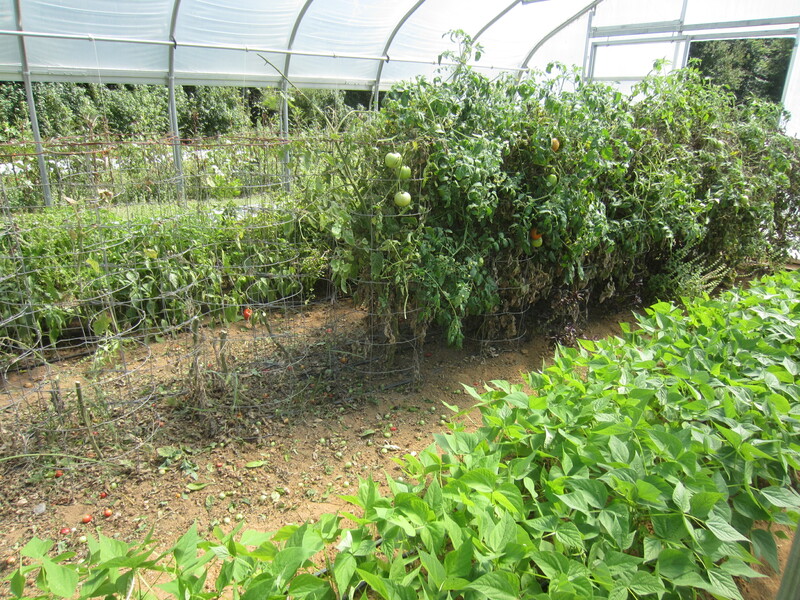 Continuous learning and applying ideas is our favorite aspect of farming.